I just wanted to start out and say that there are plenty of studies showing the ill effects of sitting down all day. This post isn’t going to talk/rant about that, but instead I wanted to show everyone how I intend to counteract it. As you may know, I’m web developer, so my job requires no physical activity whatsoever. You may so know that I’m an avid gamer. This pretty much means I’m sitting down for the majority of the day, but hey at least when I used to go into an office environment we would have standing desks. Geek Desks to be precise, but as much as I liked their product, I really didn’t think the quality of their desktops were worth the $200+ premium. They may have changed the material they constructed them from since I lasted used one, but I decided to look at other options. Luckly for me, they sale the frames by themselves ($525 frame only vs $749 frame+desktop). After doing some shopping around, I decided I would go with a pre-fabricated table top instead of making my own. IKEA to the rescue with its Gerton Table Top for only $80. step 1: assembling the frame. Nothing to really say here, just follow the instructions. First you want to put the desktop on the frame and center it. To do this, simply get a tap measure and make sure you have the same distance from the frame to edge of the desktop on the left/right and front/back (protip: measure in multiple spots). Next, you want to get a small wood drill bit and drill pilot holes for all of the screw holes in the frame. Once the pilot holes are drilled, screw in all of the screws. There are two different approaches to finishing the wood, penetrating vs coating. 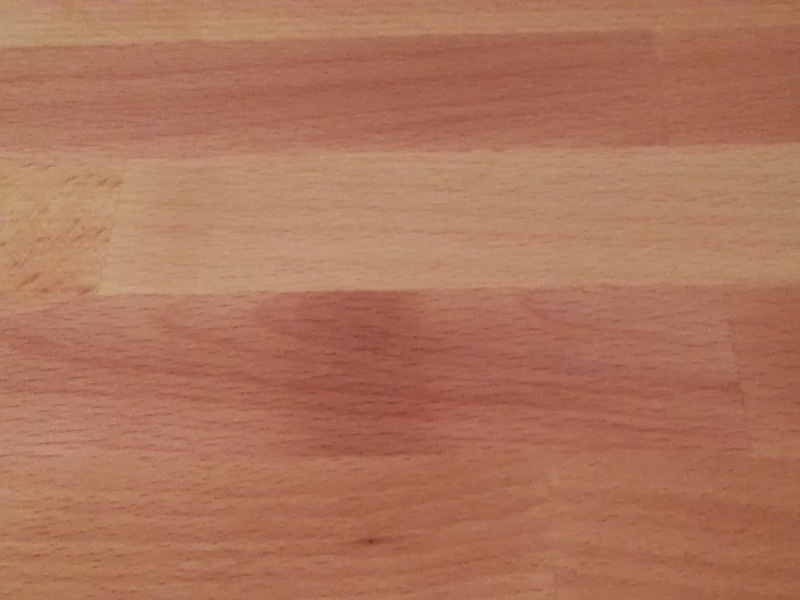 While penetrating doesn’t really help again scratches, I decided to go with boiled linseed oil just because I didn’t want a clear coat on the wood and its food-grade so I could use it on cutting boards or knife handles. Along with the oil, you’ll need to get a few lint free cloths and gloves. 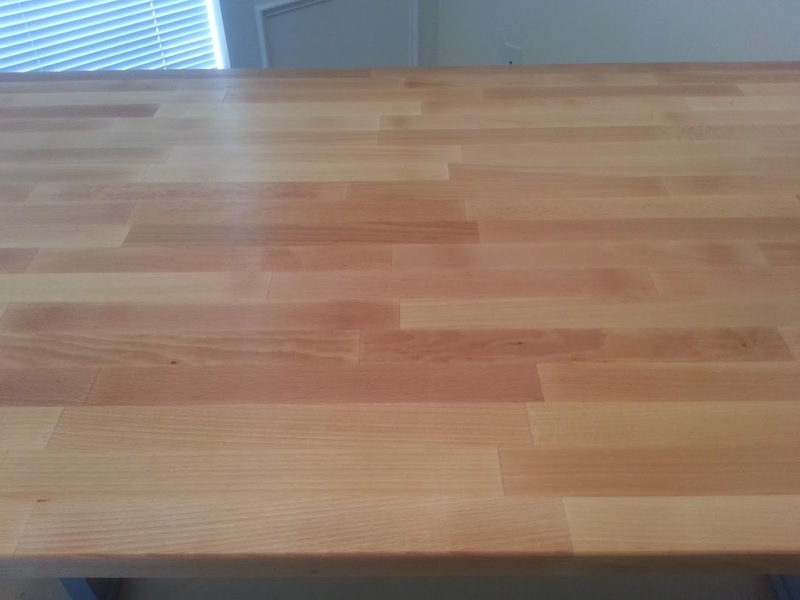 Apply a thin layer of oil to any exposed wood, wiping away any excess. Repeat this process at least 3 times, waiting for the oil to dry between coatings. 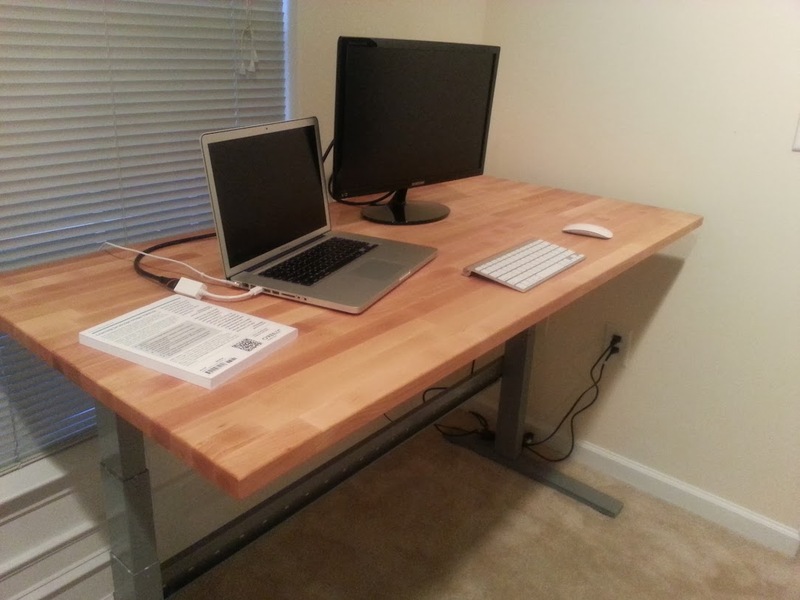 Hook up everything and enjoy your new standing desk.